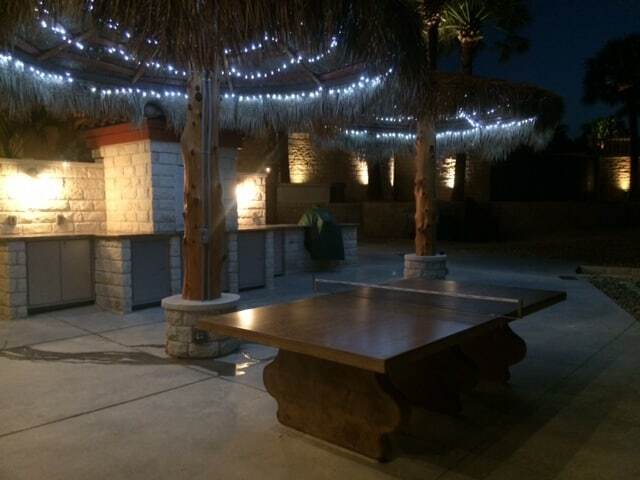 The Tuscan table design was inspired by a customer and we loved it! 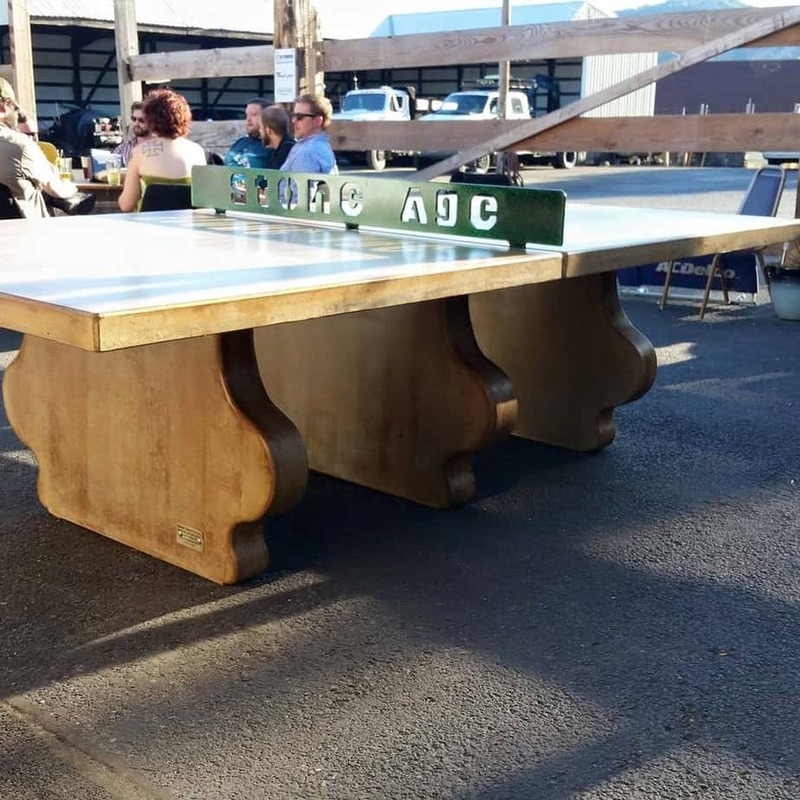 The Tuscan table adds a design element to our robust concrete ping pong tables. 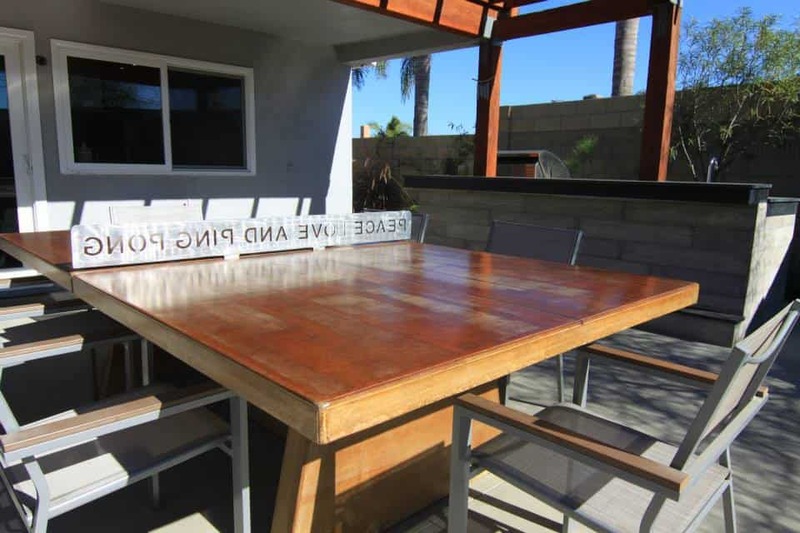 This table compliments nice outdoor areas. We can also use this leg design on the foosball tables for a matching set by the pool. 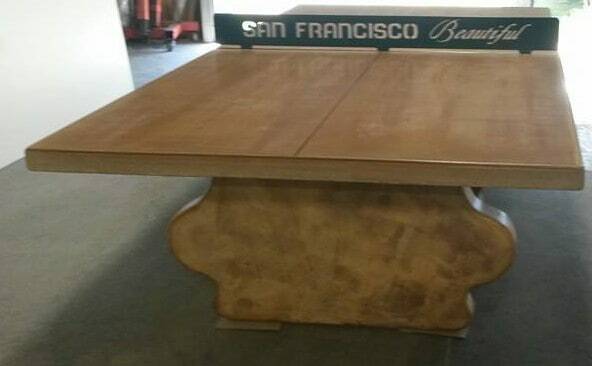 Every Tuscan Table is customized to order. Choose from a variety of options including the color for tops and legs, the net design and color, and even designs on the table surface. 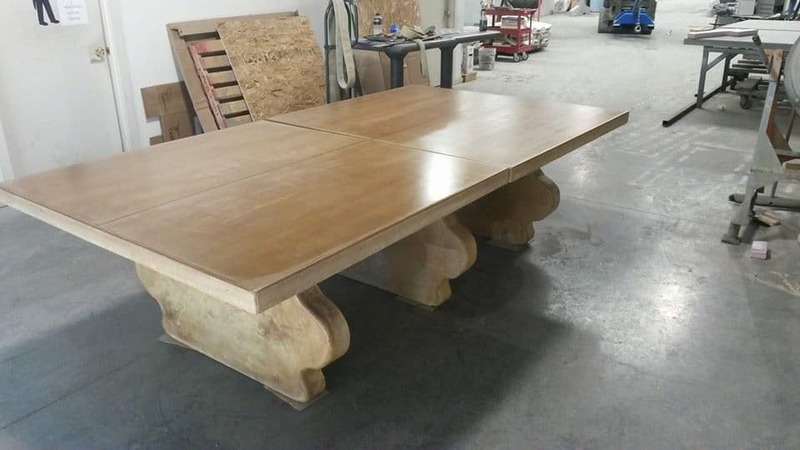 The Modern Dining table has a smaller footprint and the middle leg is rotated 90 degrees to allow for more leg room and chairs to be scooted in . 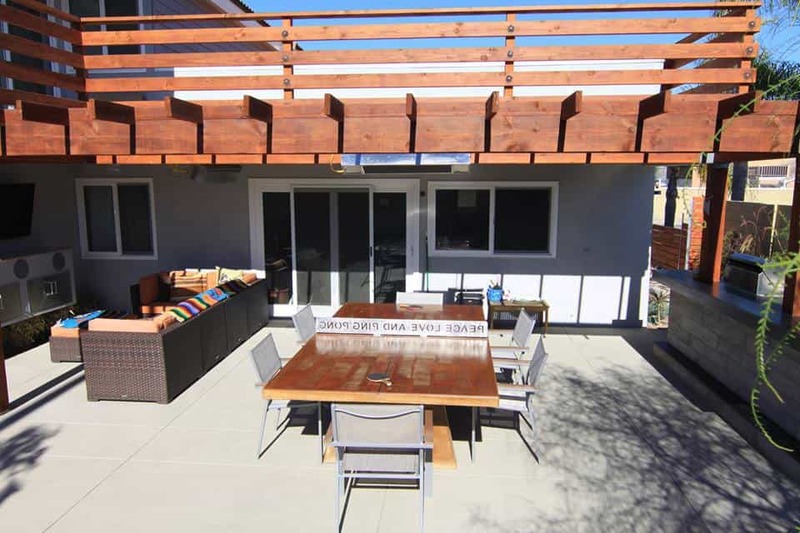 This table compliments your outdoor area and adds functionality for family dinning or a place for customers to gather with a drink. 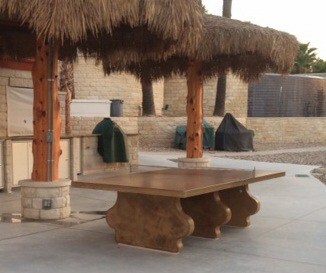 We can also use this leg design on the foosball tables for a matching set by the pool. Every Modern Dinning Table is customized to order. Choose from a variety of options including the color for tops and legs, the net design and color, and even designs on the table surface.